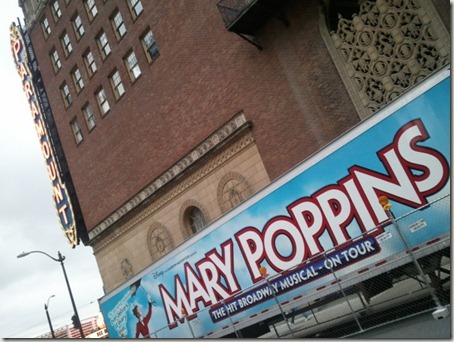 Saturday night was an all singing, all dancing affair for me and Ashley as we were treated to tickets to Mary Poppins at the Paramount Theatre in Seattle. I had the LP (remember those?) as a child so was looking forward to reliving some happy memories of precociously performing chimchimminy and supercala (not even going to try and spell it) etc for my family. The mammoth set – 27 trucks were used in the “get in” – “load in” in America – was simply staggering for a touring production as buildings transformed into streets that transformed into parks – made me a little homesick too. 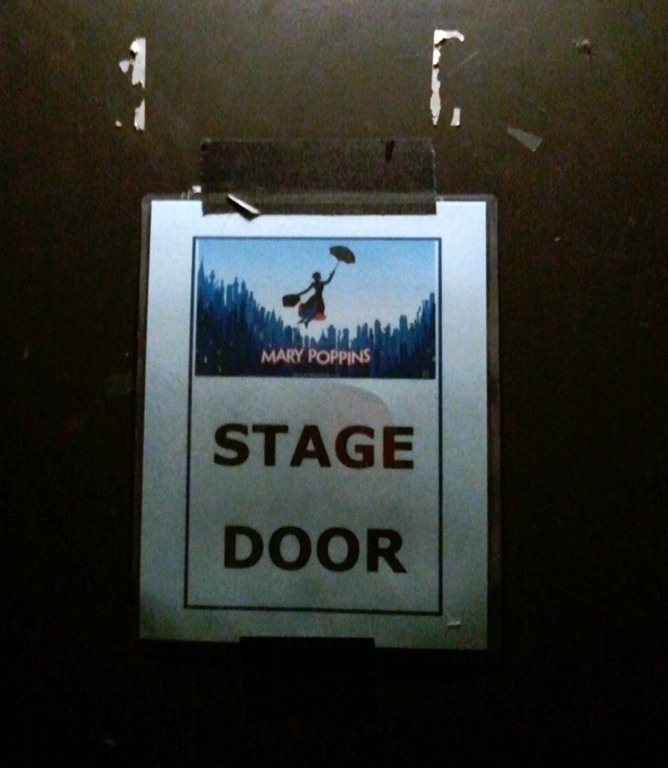 I’m writing this in a New York hotel room and don’t have the exact cast list with me, but I did have to ask how many of the Mary Poppins cast were English and I think we only counted one! So thumbs up for fooling everyone with the crisp cockney and received pronunciation. Did you know the writer – P. L. Travers – actually wrote a series of books about the gifted nanny? That’s apparently where the musical drifts off script from the film and adds in a few more twists and turns. The 2 1/2 hours simply flies by like an umbrella in the wind and we’ve been humming the tunes ever since. If you’re thinking of heading downtown for a bit of foot-tapping nostalgia for all the family, then do. 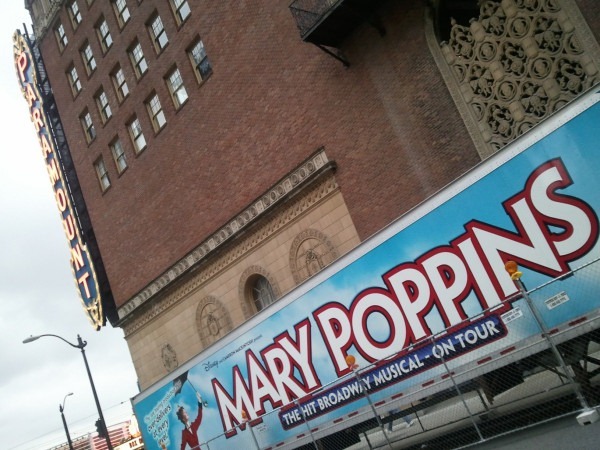 Mary Poppins is just the tonic for cheering Seattle up after the coldest April on record. No spoonful of sugar for me though. I have the Paramount Club to thanks for my latest tipple. They were serving Mary Poppins-themed cocktails and I devoured two “Chim Chim Cheeroos” which are simply Jim Bean and ginger ale deliciousness. 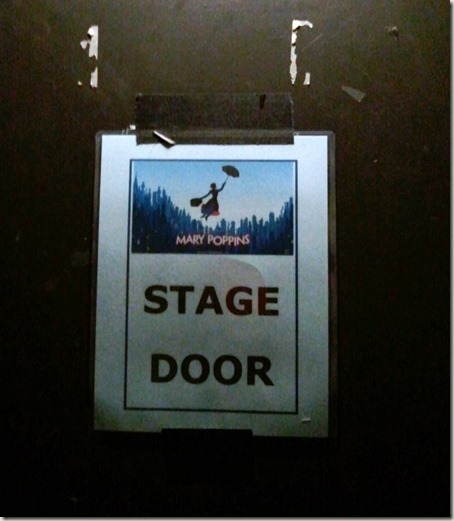 I can’t wait to see Mary Poppins… One of my favorite movies live!